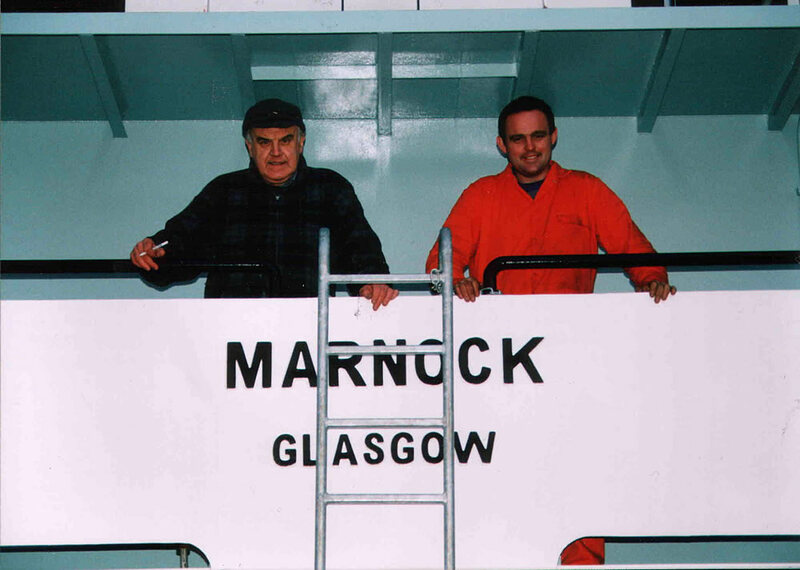 Marnock was named after the 6th century saint who had a religious settlement on the tiny island of Inchmarnock, next to Bute. 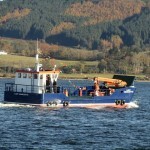 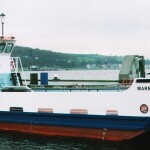 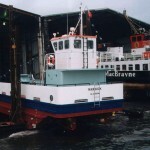 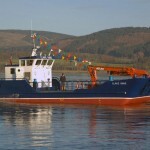 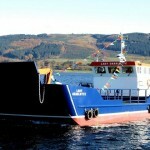 Commissioned by Sir Robert Smith, the present day owner of the island, experienced naval architects Andrew Cummins Design Associates were brought in and the specification – suitable for shallow sandy beaches, easy to maintain, economical to run and affordable – was duly approved and work got under way, with one further stipulation : the ferry had to be ready by St Andrew’s Day, 30th November! 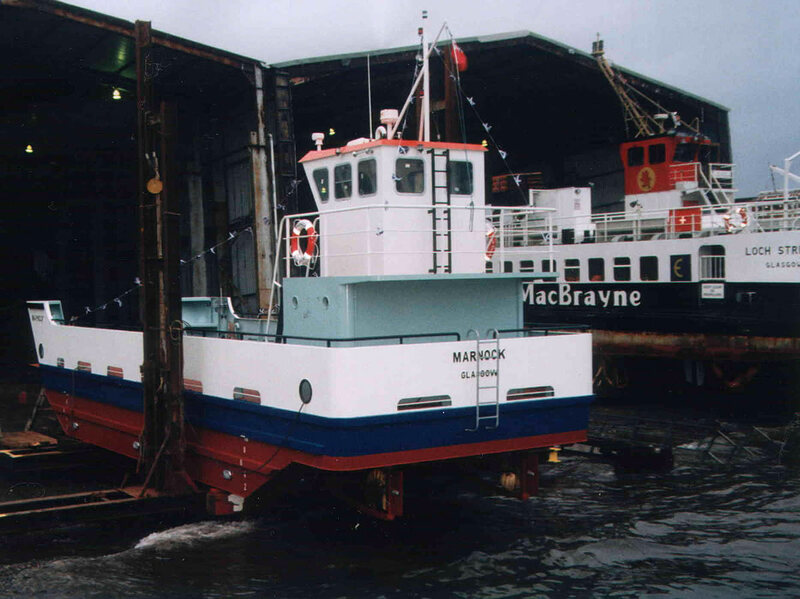 Marnock was duly launched by Lady Smith on that date – from drawing board to sea trials in just 6 months! 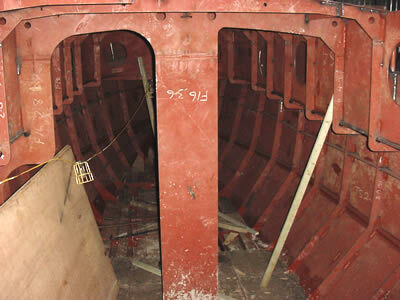 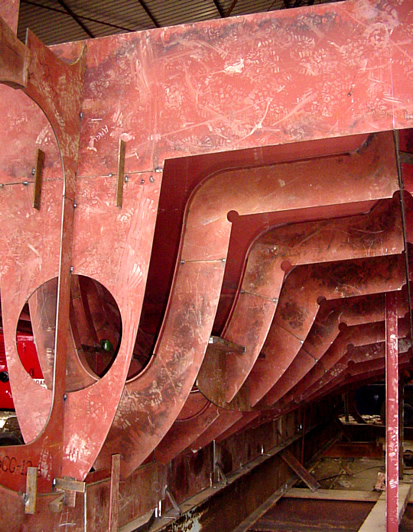 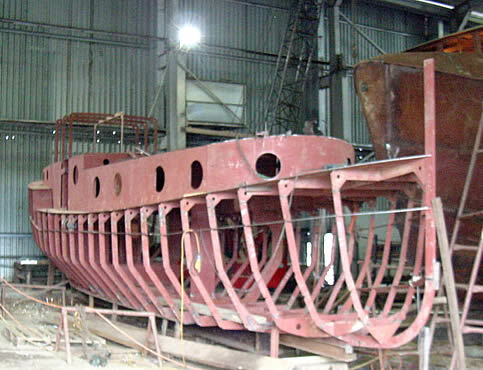 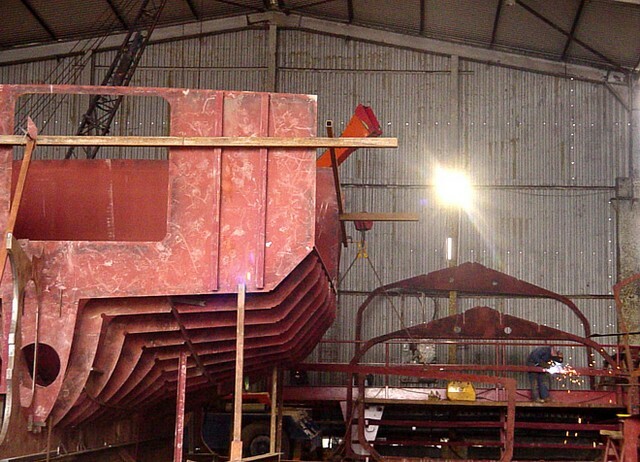 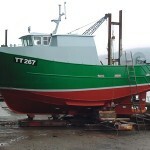 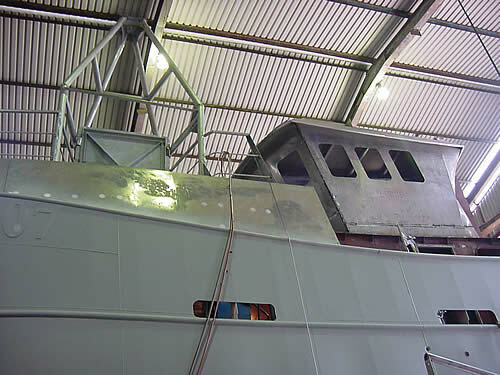 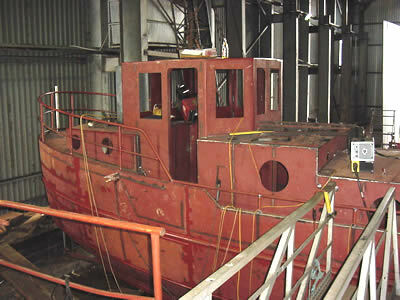 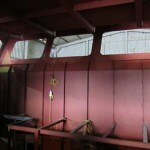 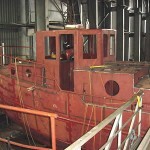 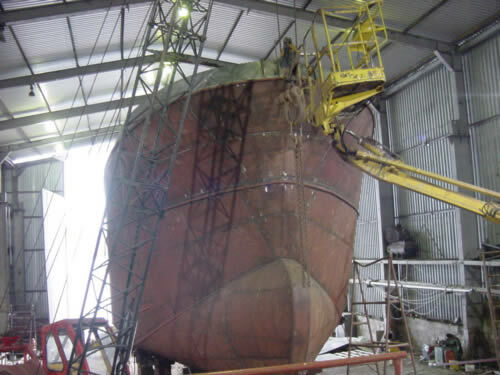 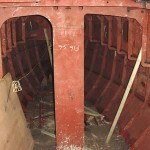 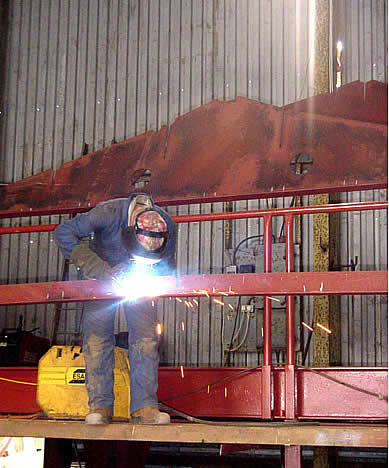 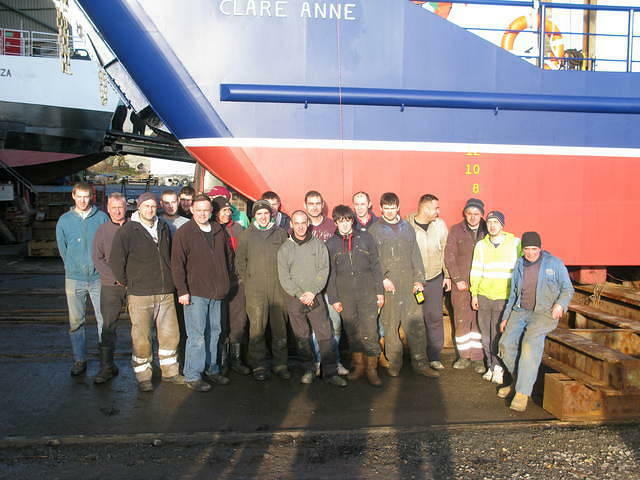 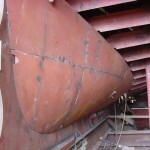 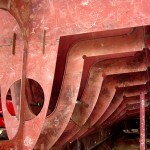 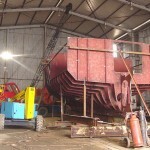 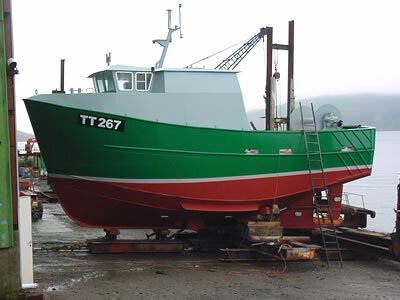 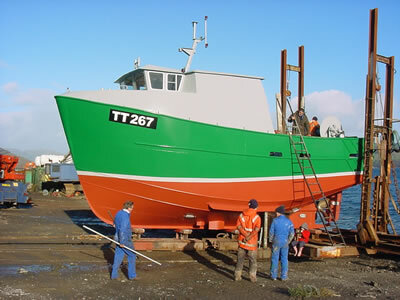 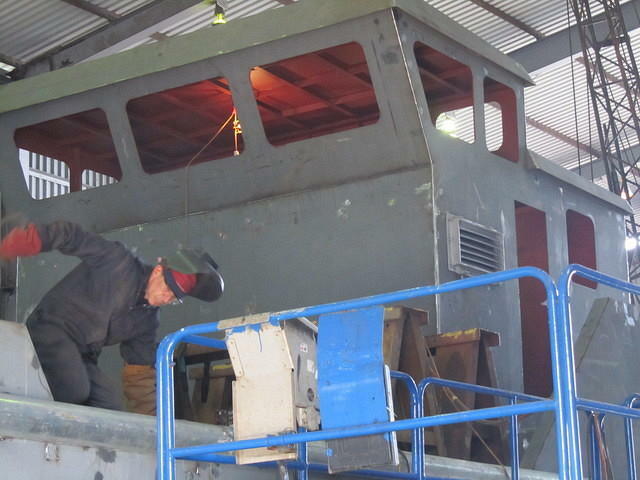 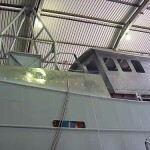 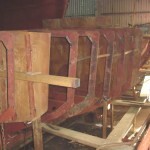 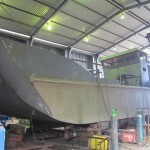 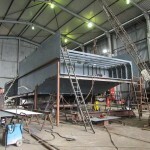 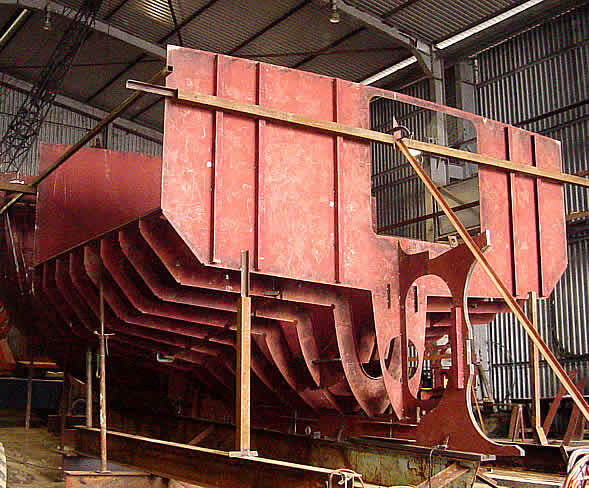 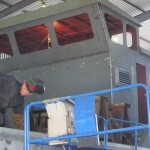 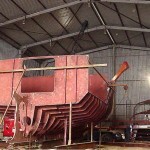 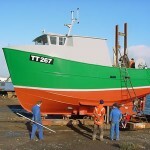 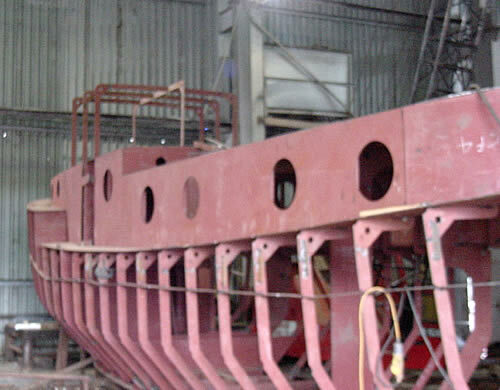 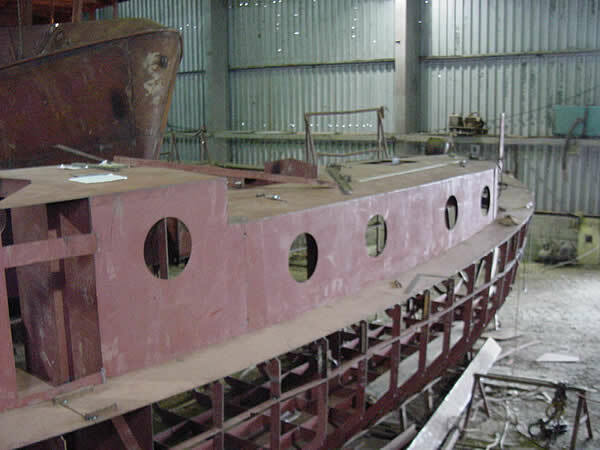 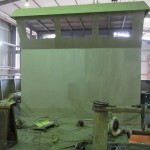 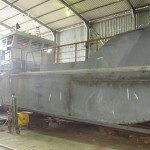 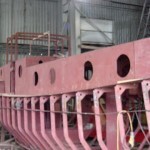 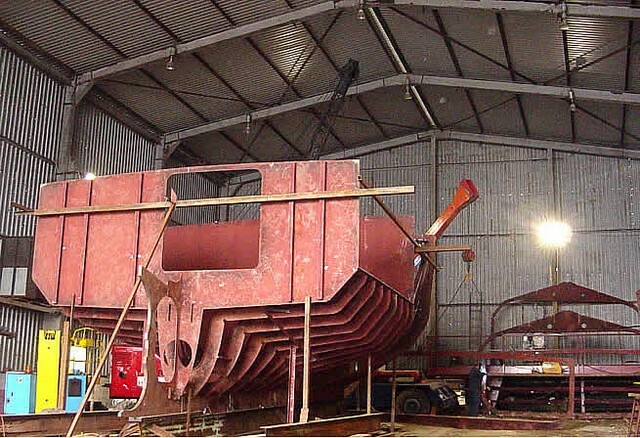 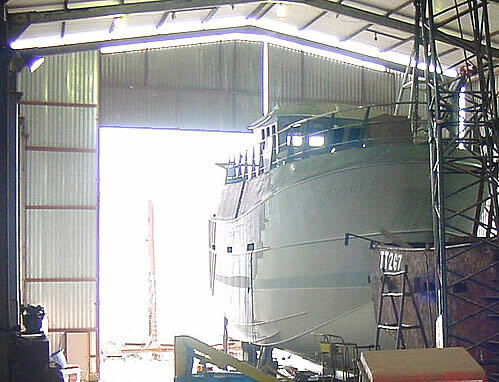 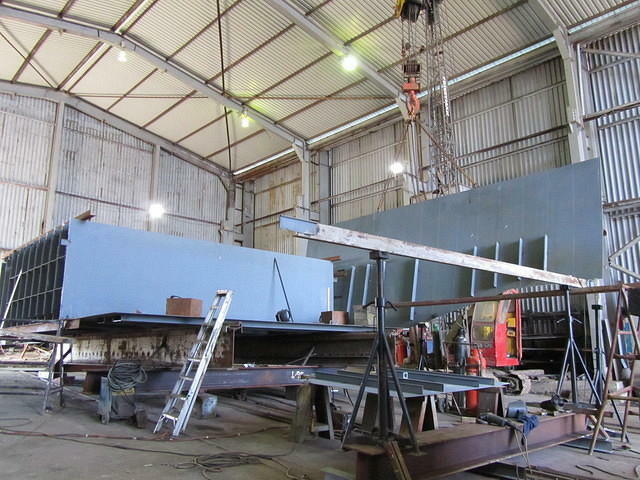 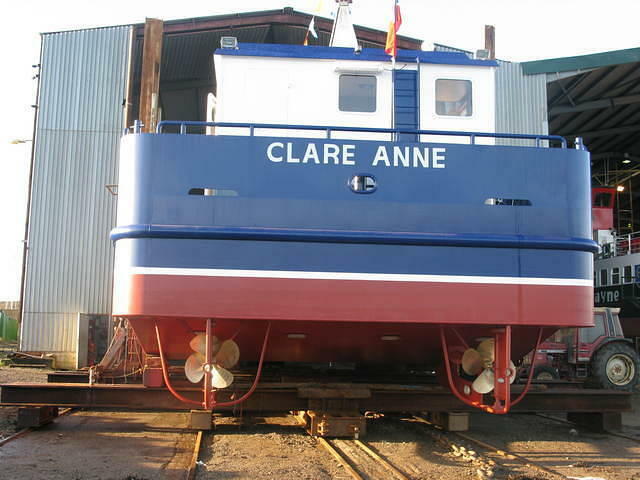 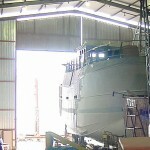 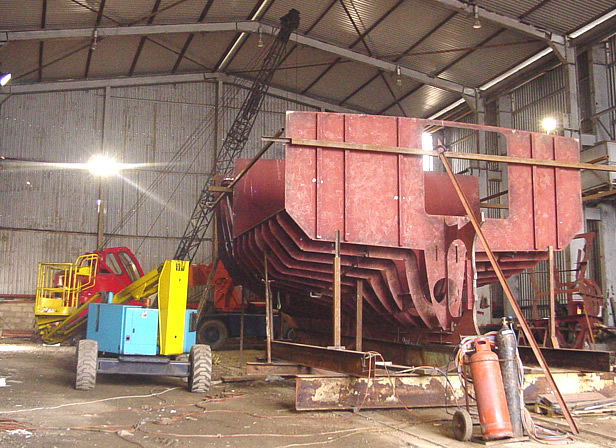 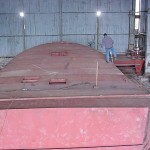 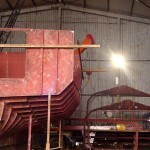 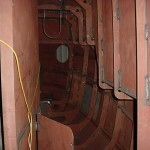 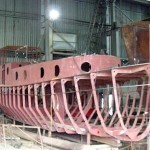 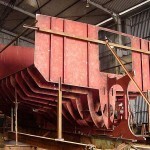 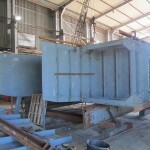 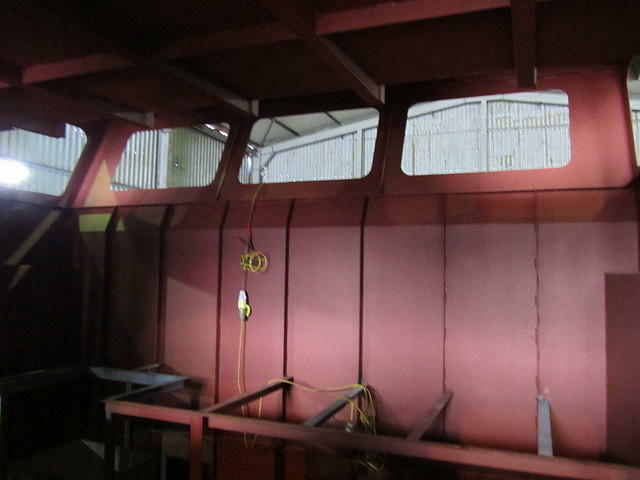 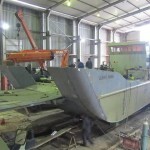 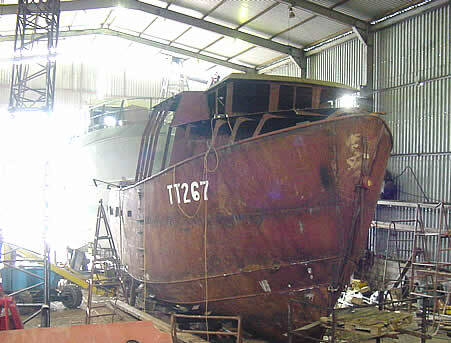 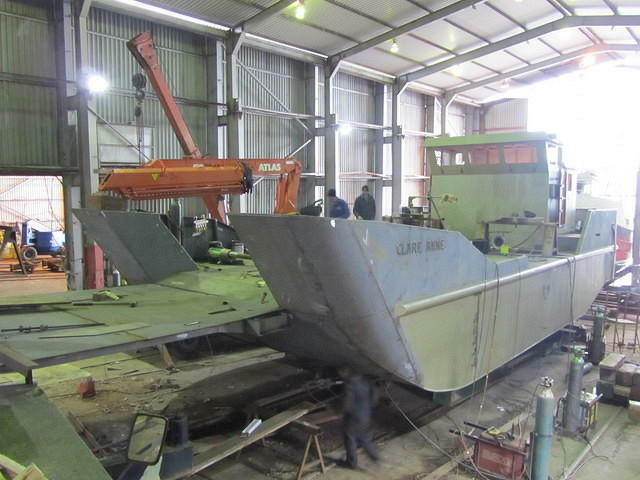 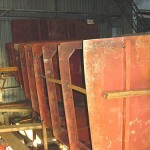 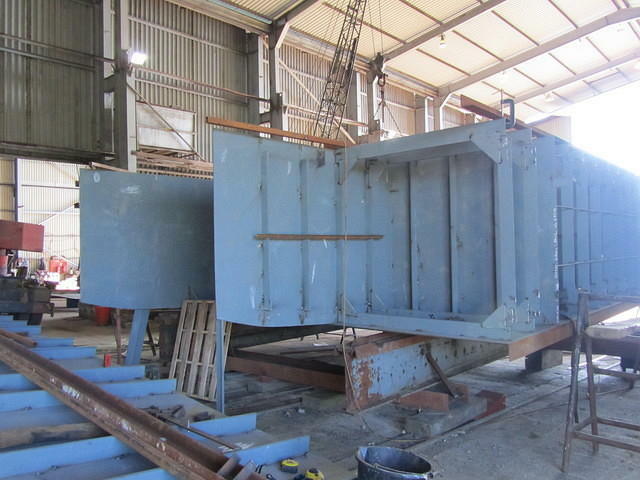 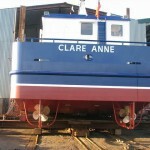 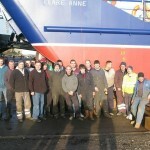 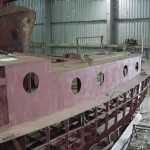 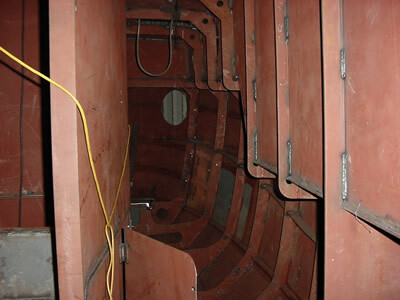 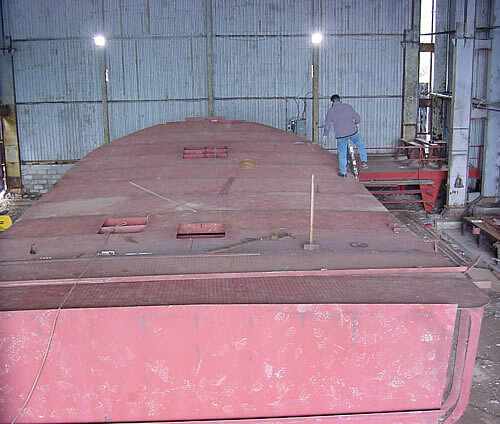 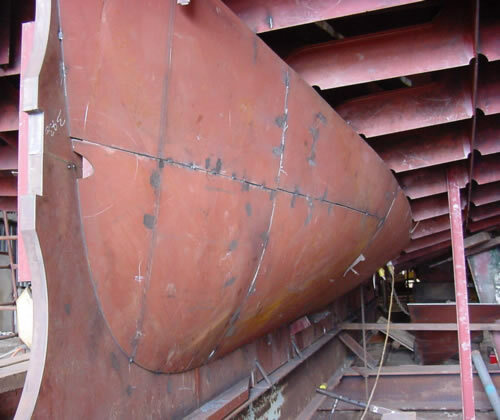 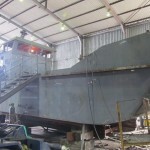 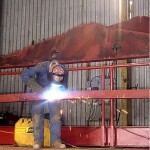 The expression ‘Clyde Built’ has been a by-word for quality workmanship in ship building. 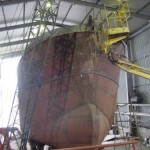 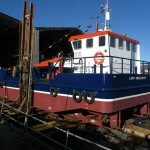 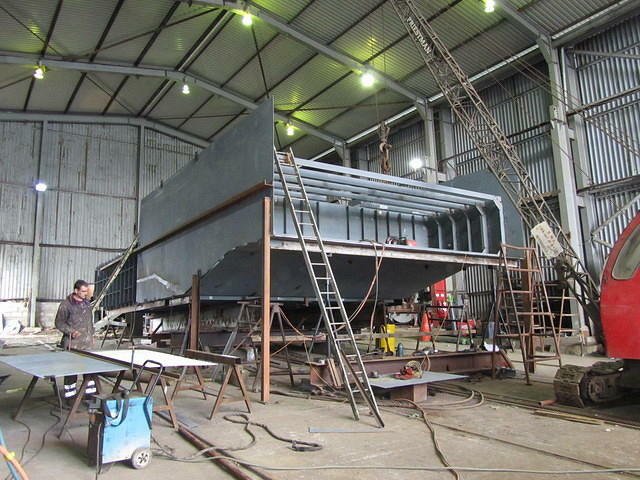 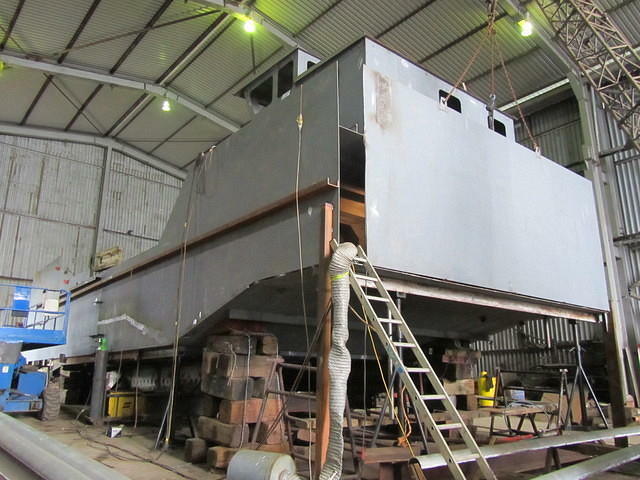 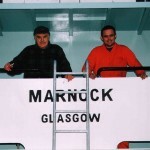 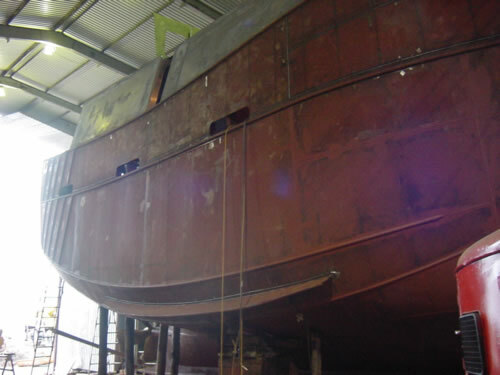 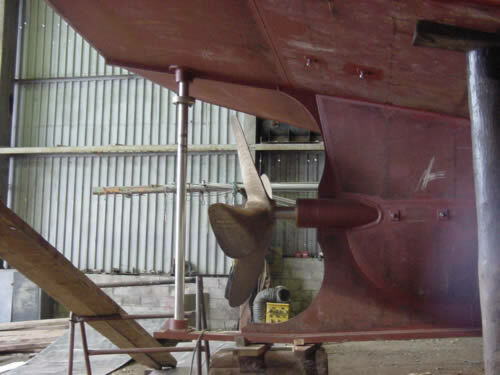 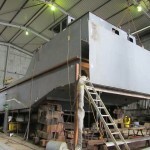 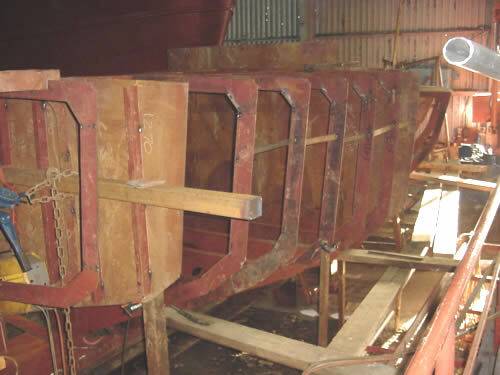 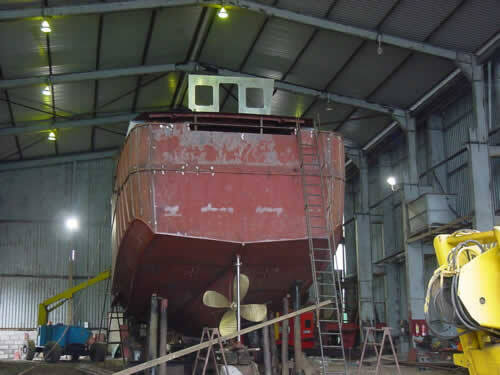 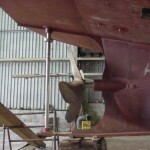 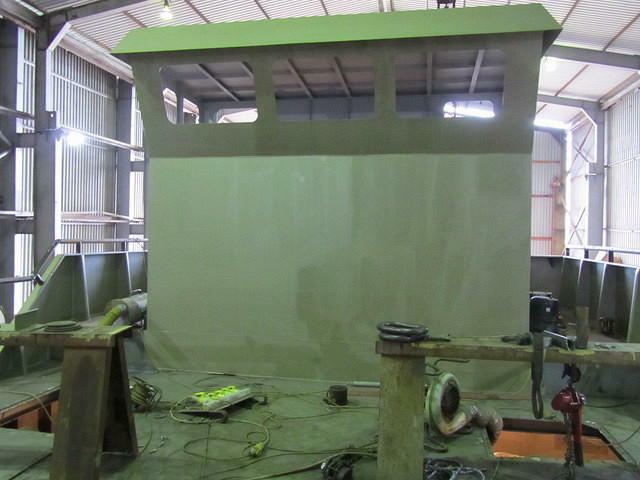 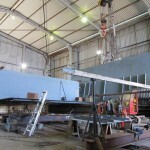 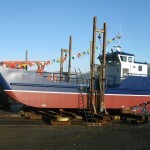 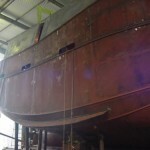 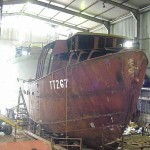 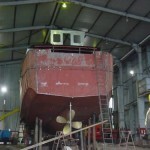 Ardmaleish Boatbuilding Company hope that they are contributing to Clydeside’s esteemed building tradition. 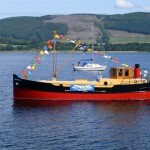 Launched in July 2004, the “Mary Hill” is a detailed replica of a clyde coal puffer. 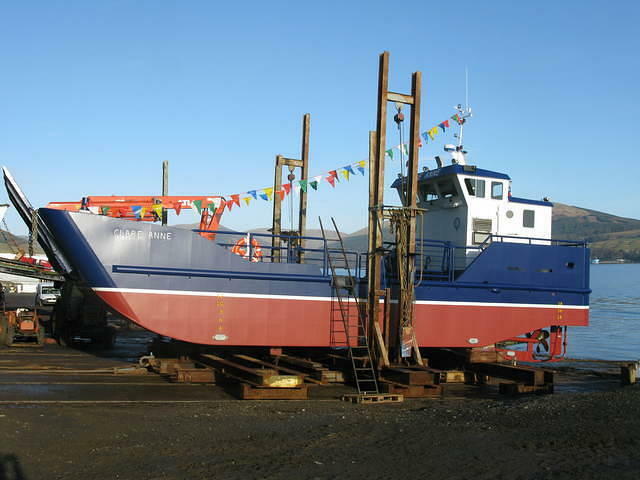 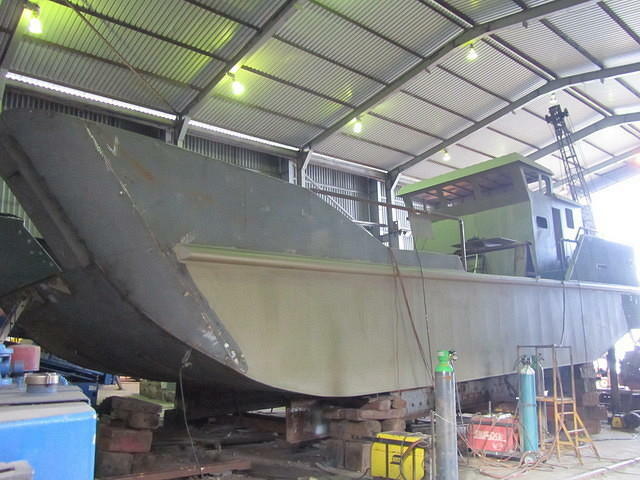 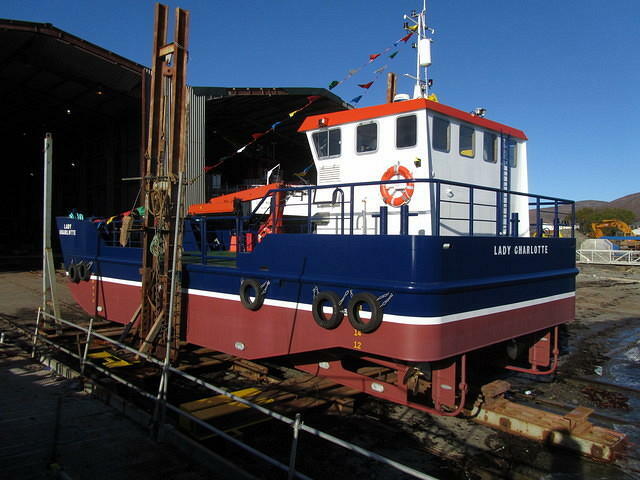 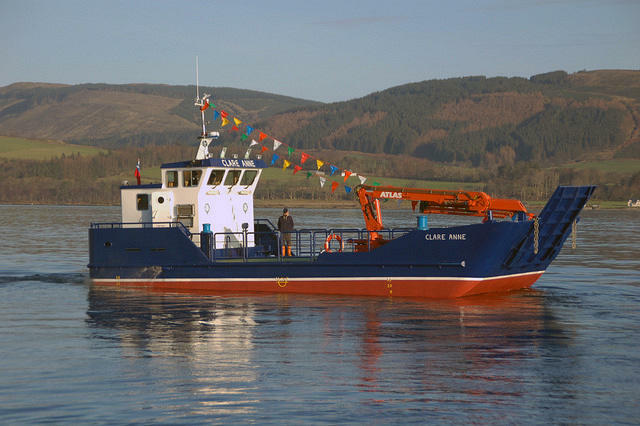 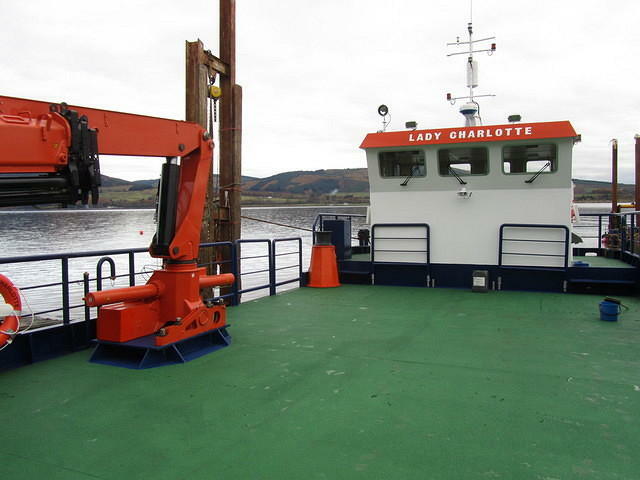 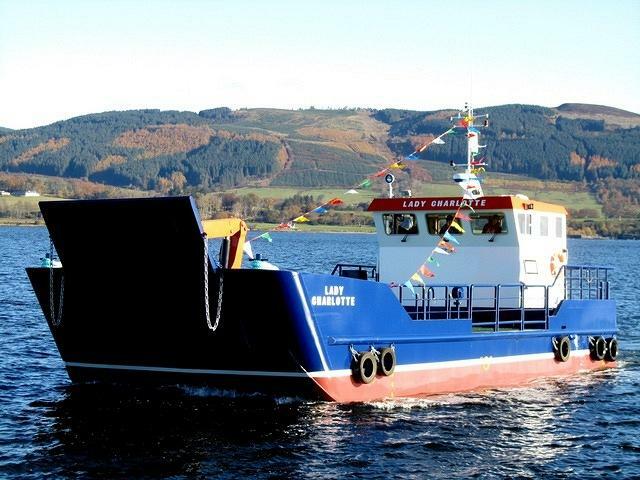 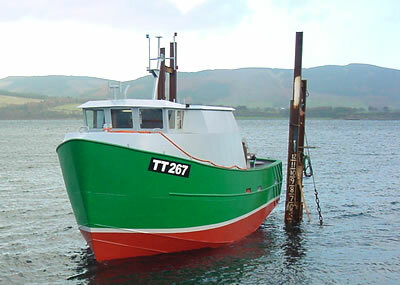 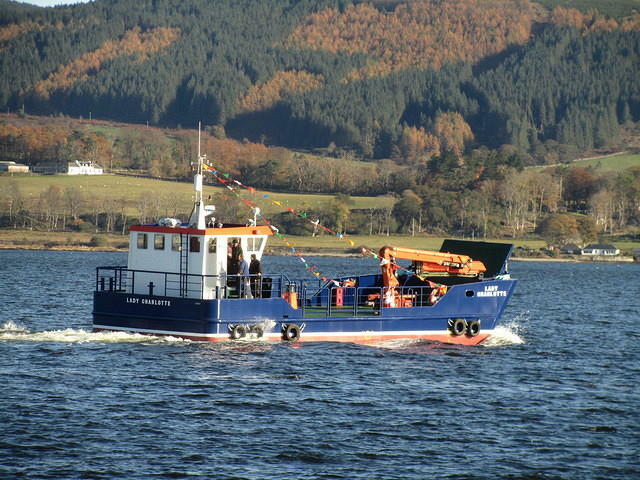 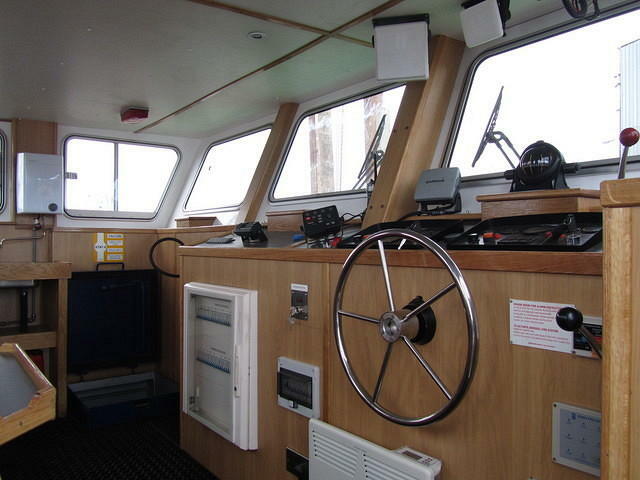 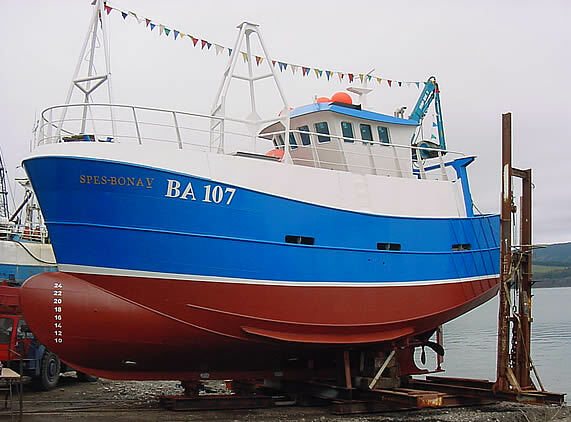 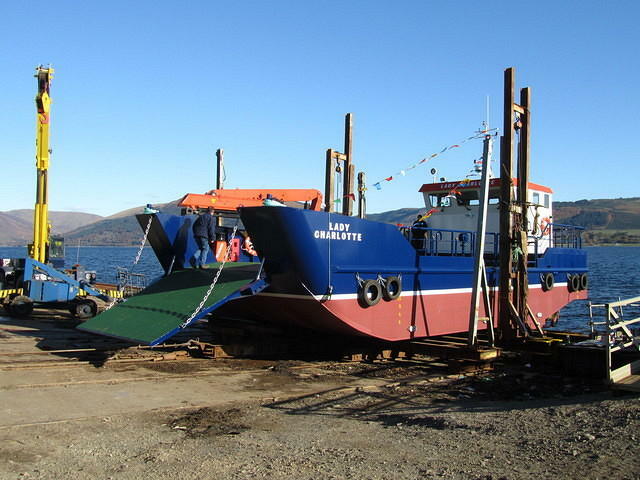 The 42ft vessel has been commissioned by Sir Robert Smith and will be used as a pleasure craft for hire on the Forth & Clyde canal. 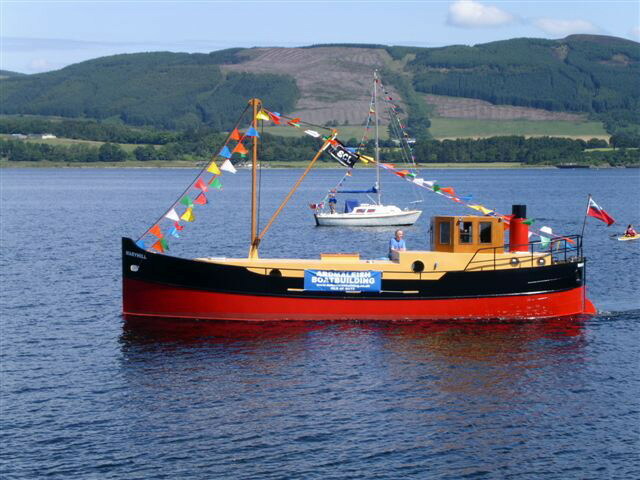 The “Mary Hill” will be on display at the Scottish Boat Show being held this year at the Falkirk Wheel between 13-15 August. 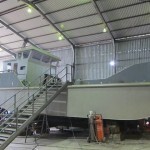 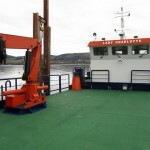 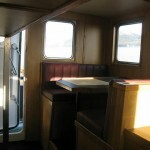 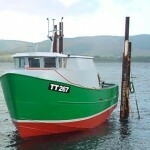 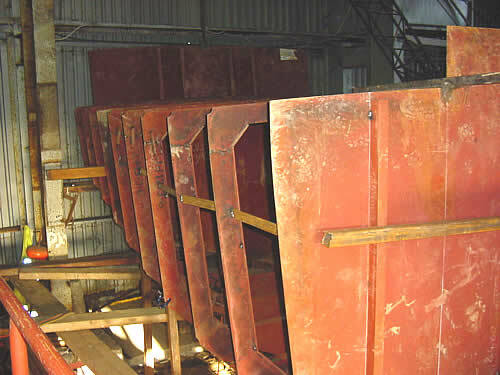 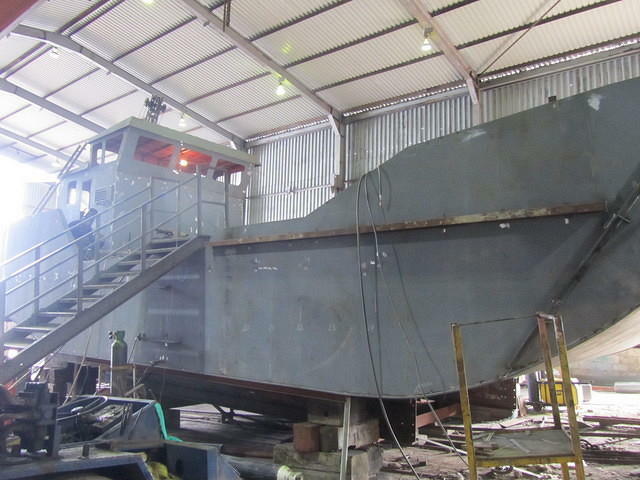 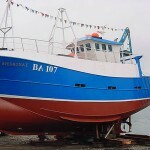 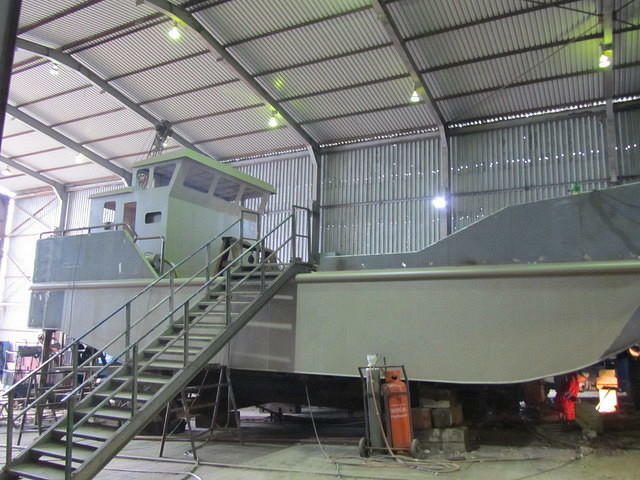 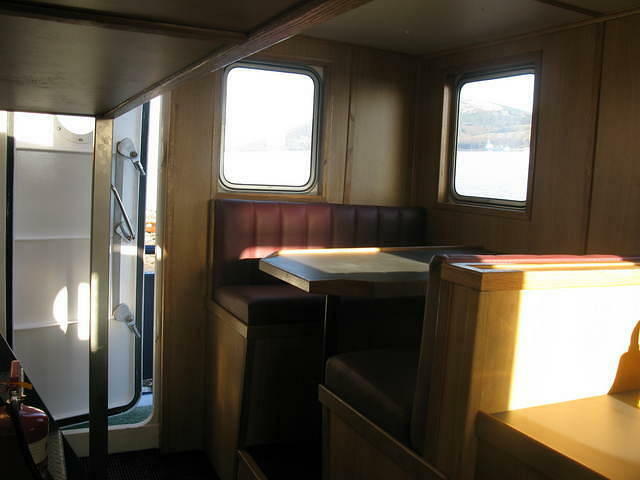 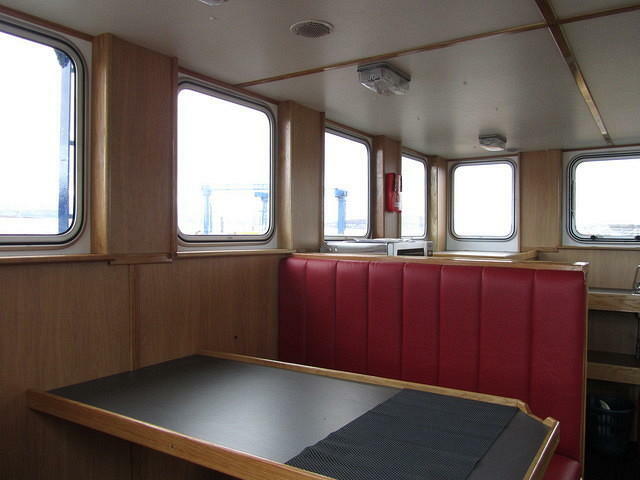 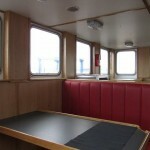 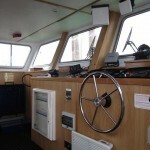 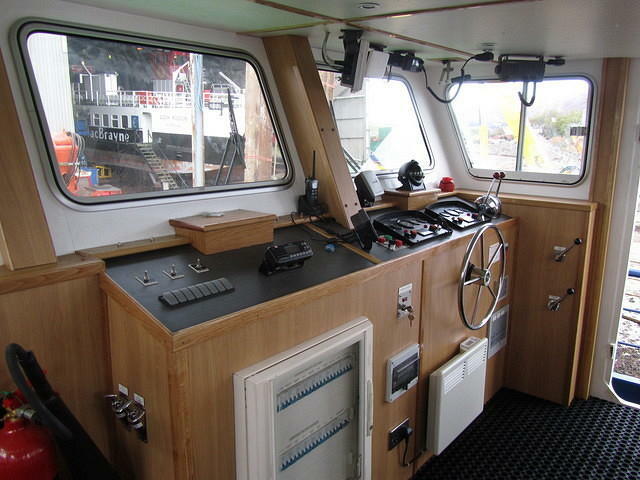 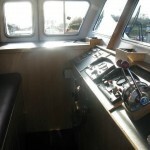 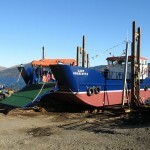 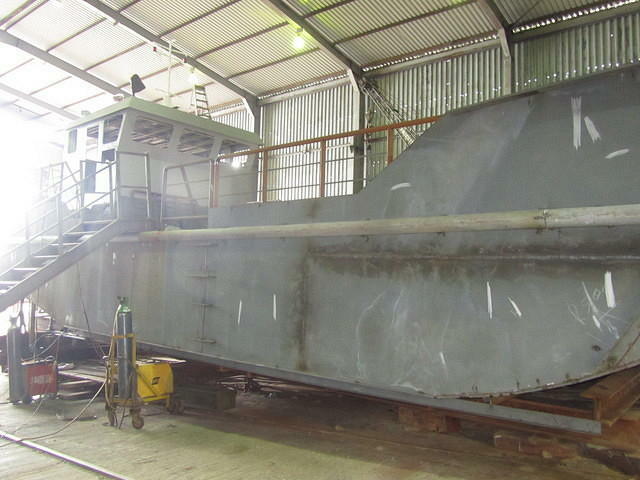 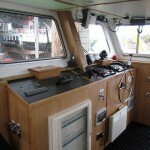 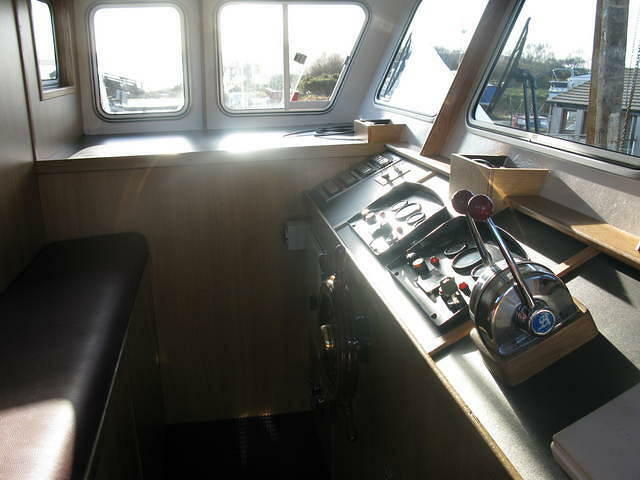 • Side, fore and aft decks with rails all round.